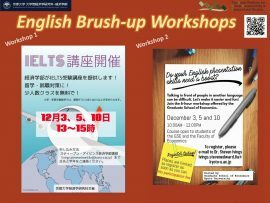 The Graduate School of Economics is now offering　2　workshops. ※There is no participation fee! For more details, please see the following URL.